Harvesting the taste of Lowcountry culture. Charleston Oyster Farm serves to bring you fresh, local and salty raw oysters by harvesting the taste of Lowcountry "culture" and delivering them to your dock or doorstep with a "marsh to table" approach. As the first oyster farm in the City of Charleston, SC, our mission (besides rejuvenating your taste buds) is to promote healthy ecosystems, environmental awareness, and local mariculture, while restoring the ever-fading working water front along the Southeast. As the market demands more and more single oysters, wild oyster populations face stress to satiate the local palate, and seafood continues to be imported. 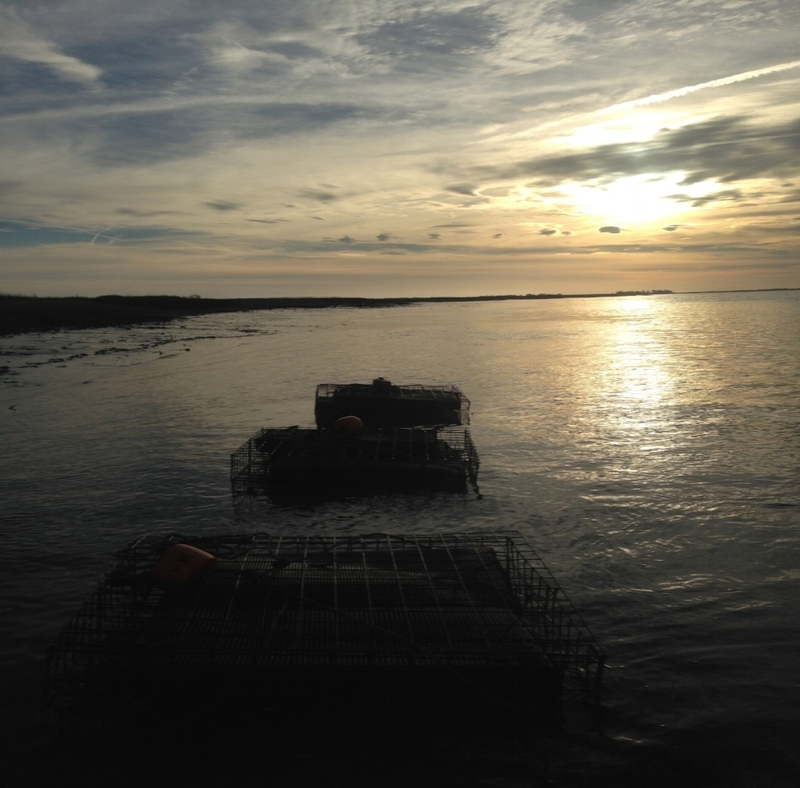 By farming a local, fantastically flavored, sustainable salty single, Charleston Oyster Farm hopes to decrease this stress on the environment and encourage mariculture operations throughout the lowcountry. Looking for that raw oyster your mouth has been missing? Find out about our farm, mission, and how we grow with the flow! Follow us on Facebook and Instagram! Meet the Team! Twin brothers, Peter and Thomas Bierce with Caitlyn Mayer. Our first batch of local oysters! These singles are barely 8 months old. Perfect lips and already forming into little cups! Visit our gallery to see more!